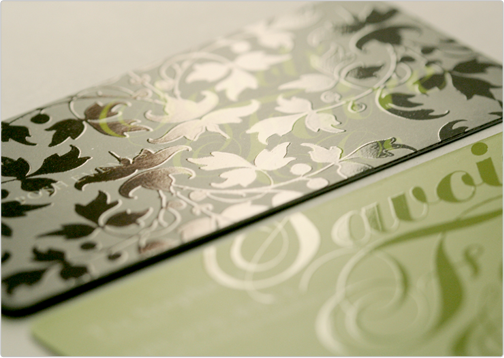 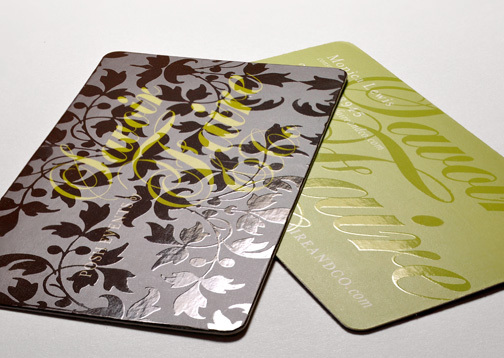 This business card is intricately laced with layers of floral design and script type face. 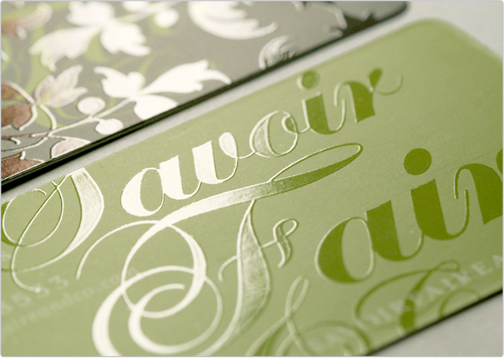 Both of these elements are printed and spot glossed on the 16pt silk matte finish. 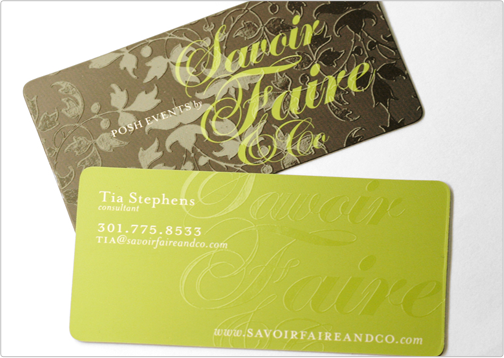 The color palette is inverted on the front and back to provide a unique and custom printed brand.